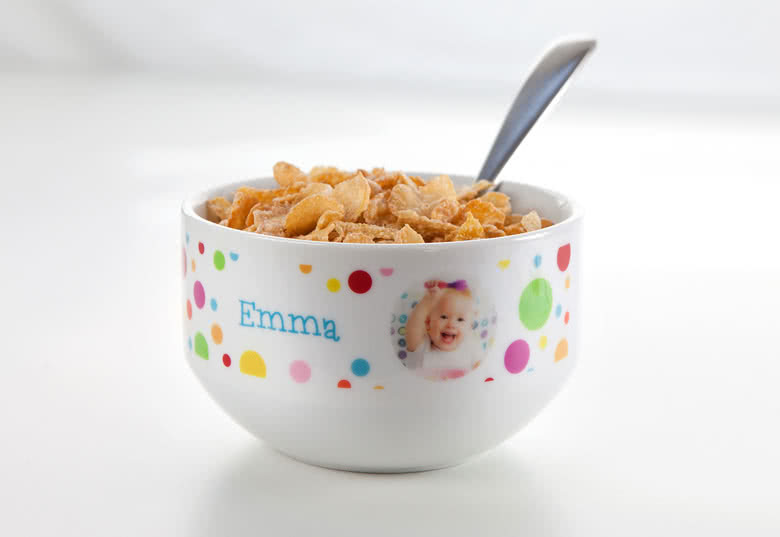 Start your day with a healthy and hearty breakfast in your very own personalized Cereal Bowl. 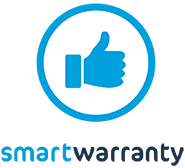 Your cereals will taste even better and your good mood will be set for the rest of the day. Your children will love to eat out of their own Cereal Bowl that they don’t have to share with anyone else. 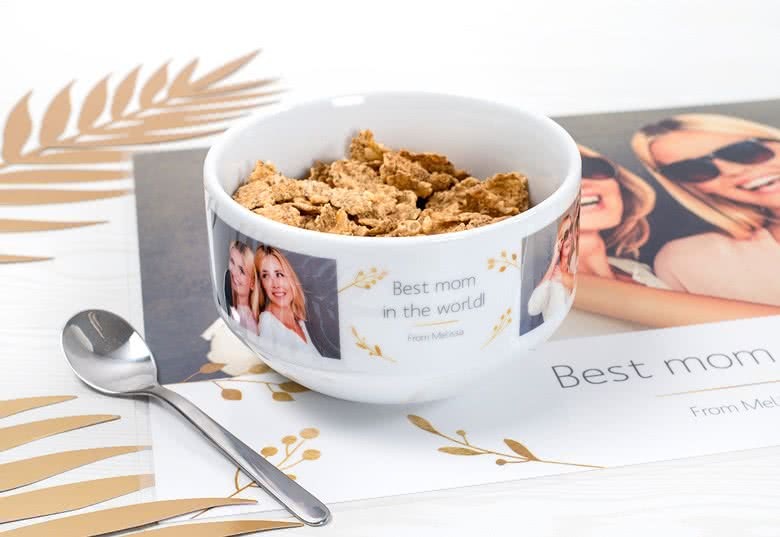 Enjoy your breakfast with your own and unique cereal bowl. 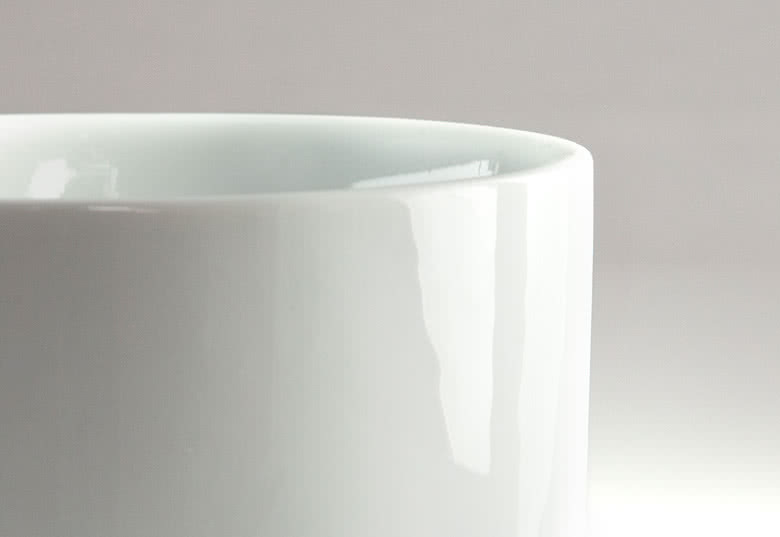 Add your favorite photo to this white ceramic bowl and you got yourself the perfect company for breakfast. Or surprise a friend or a family member with a personalised gift.